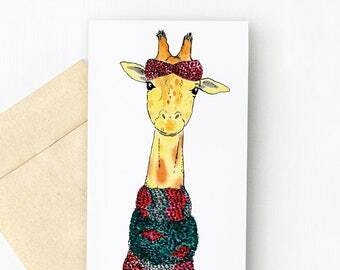 An adorable greeting card with cuddling pandas. 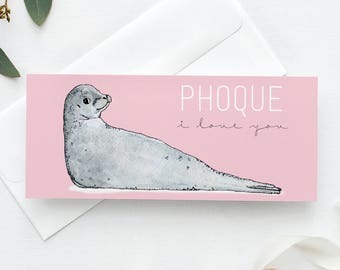 Perfect for your loved one who can speaks French. 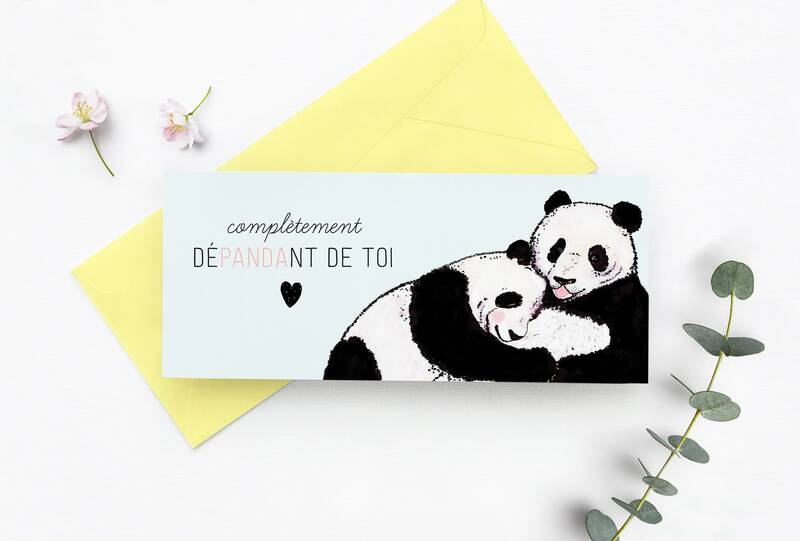 "Complètement déPANDAnt de toi" is a wordplay with the word PANDA and means that you are completely addicted with this person. The illustration was created with watercolour and completed on the computer. Printed on both side on a thick quality paper. 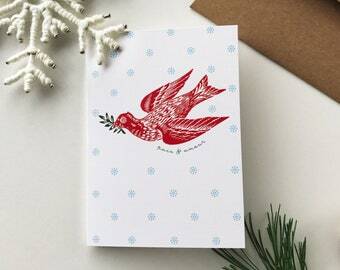 The card interior is blank, giving you the freedom to write a personalized message. 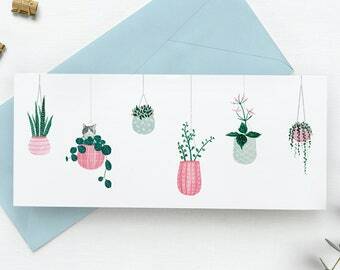 This card size is great is you wish to offer a gift certificate, concert tickets, money etc. 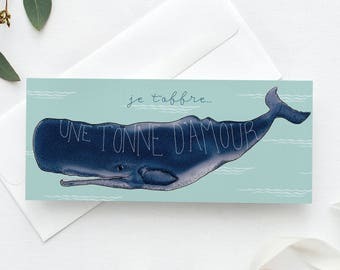 Design and illustration by Rose Papier Ciseaux. Très beau produit ! Merci beaucoup !